The last 24hrs in the world of cryptocurrency has been looming with dark clouds, which has now birthed a significant bearish storm over the majority of the top 100 listed tokens. 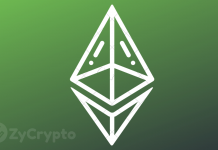 However, in the midst of the massive shedding of gains, Ethereum saw this as an opportunity to make a momentous climb, even if it required knocking out its long-standing opponent for the second time this year. Shortly after Craig Wright declared war against Bitcoin miners, the bearish trends began to intensify, leading to an all-crypto-loss galore; Ethereum was the only cryptocurrency amongst the top three to shred as much as 14% in losses. 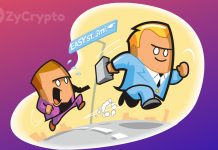 The fight was strictly based on what can be termed “the survival of the fittest”, in that the Ethereum was still aimed at pulling itself upwards even at a trading price of $207 in the last two days as opposed to XRP which was already recording average price gains. Once the bears took total control and tossed Bitcoin down to the $5,000 range, its second all-time low of the year, the consequences became altcoins to bear. And Ethereum being the first altcoins to receive the blow, coupled with its recuperative state had fallen nearly twice as low as Ripple, who automatically moved upwards and has been sitting at the second spot up until the time of this writing. Ripple XRP had already been showing bullish signs two days ago when Ethereum fell by 2%. Both tokens were moving head to head with a market cap of $20 billion, Ripple looked ready to tear down the Ethereum whose market cap of $21 billion was just slightly above. 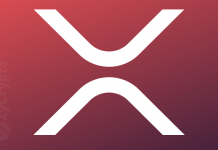 At the time, XRP was trading at $0.520289, while Ethereum was at $207. As of this writing, Ethereum has lost over $30 and now trades at $177, while Ripple trades $0.457120. There still lies a huge possibility for Ethereum to reclaim its spot and make this a temporary comeback for XRP as it did in September. 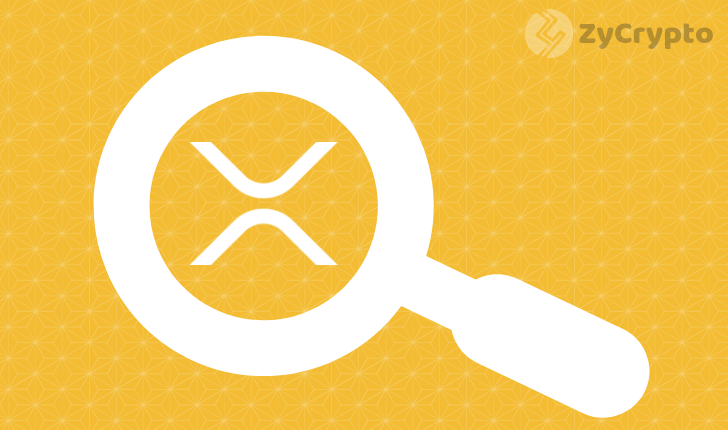 Considering the fact that Ripple’s market cap is totaled at $18.41 billion against Ethereum whose market cap totals at $18.32 billion, Ripple’s new position might just be a recap of its short-lived success in September, when Ripple’s market capitalization surpassed Ethereum by $3 billion. Ripple’s market cap was sitting richly at $26 billion, while Ethereum’s was at $23 billion. On the 6th of November, Ripple also beat Ethereum for a short period and lost its victory shortly after. Next articleCraig Wright Responsible for Bitcoin (BTC) Market Crash?